Women from the South Korea Jewish community gather at the grand opening of the first mikvah on the Korean peninsula. 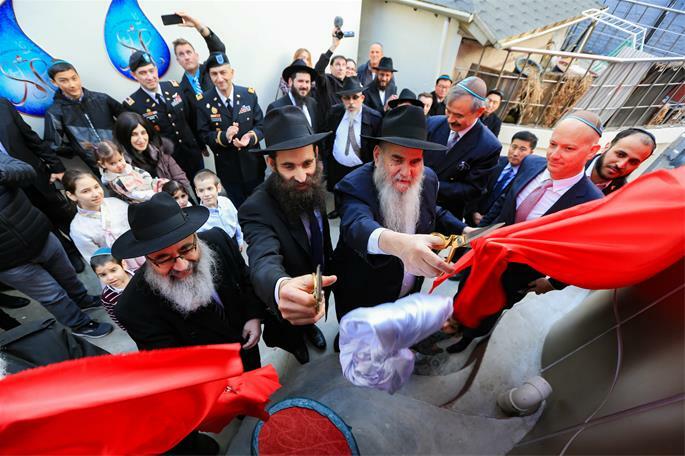 Local dignitaries, Jewish community members and others gathered on March 31 for the grand opening of the first-ever mikvah on the Korean Peninsula. Among those who attended the event were U.S. Ambassador to the Republic of Korea Harry B. Harris and U.S. Army Chaplain Rabbi Henry Soussan, who served as master of ceremonies. The mayor of Seoul, Park Won-Soon, sent a video greeting with former South Korea National Assembly member Jin Park, who was in attendance. At any given time, several hundred Jews call South Korea home. This number includes educators, U.S. Army personnel and their families, students, diplomats, tourists and business people from around the world, mostly from the United States and Israel. Until now, Jewish women who wanted to practice the laws of ritual purity had to travel to Japan or China. Using the waters of a nearby beach was a possibility (with someone there to ensure that her tevillah [immersion] was complete), but that required waiting until very late when the beaches in Korea were empty. Other women have gone with Mussy Litzman to the ocean, about 90 minutes from Seoul. Each option, though, required a lot of preplanning, juggling of schedules and, in some cases, expensive airline fees. That’s why opening a mikvah was a dream that the Litzmans had since they moved to Seoul 10 years ago. At the ribbon-cutting ceremony are Rabbi Osher Litzman, center left, Rabbi Moshe Kotlarsky, center right, and other dignitaries, family and guests. 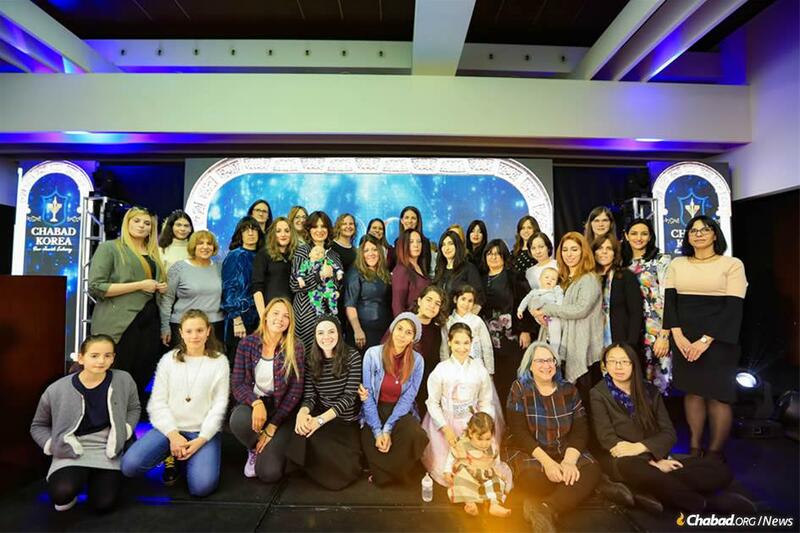 In addition to a ribbon-cutting at the mivkah, the dedication celebration included a gala dinner at the Grand Hyatt in Seoul. Among the evening’s speakers was Israeli Consul Anat Evyatar, who expressed her happiness in having a mikvah in the capital city. Other speakers included Rabbi Moshe Kotlarsky, vice chairman of Merkos L’Inyonei Chinuch—the educational arm of Chabad-Lubavitch—who gave the keynote speech; and Rabbi Mordechai Avtzon, co-director of Hong Kong, who spoke about guidance from the Rebbe—Rabbi Menachem M. Schneerson, of righteous memory—to build aesthetic and welcoming mikvahs. 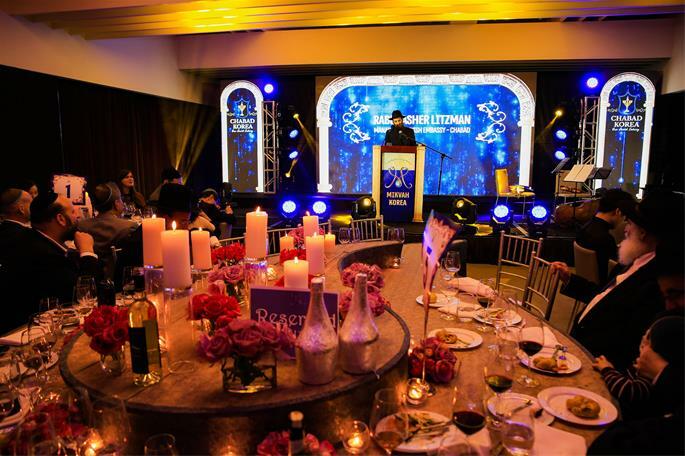 The dedication celebration for the mikvah also included gala dinner at the Grand Hyatt in Seoul. True to its Asian setting, the Seoul mikvah, which sits on a hill, is unique in its design. It has raindrop layout, rather than the common rectangular pool of water, and the building’s exterior is one of a kind. It cost approximately $800,000 to build. To raise the necessary funds, the Litzmans are running a “Buy a Tile” campaign for the construction of the mikvah. Their goal is to have 444 donors. To date, they have more than 400 donors and have raised more than 90 percent of the needed funds. For more information, see Jewishtreasure.com. 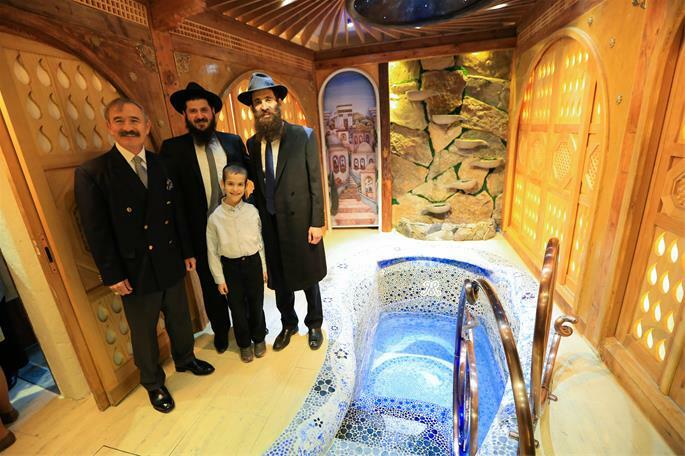 Rabbi Litzman, at right, Rabbi Mendy Kotlarsky and guests at the uniquely designed mikvah. 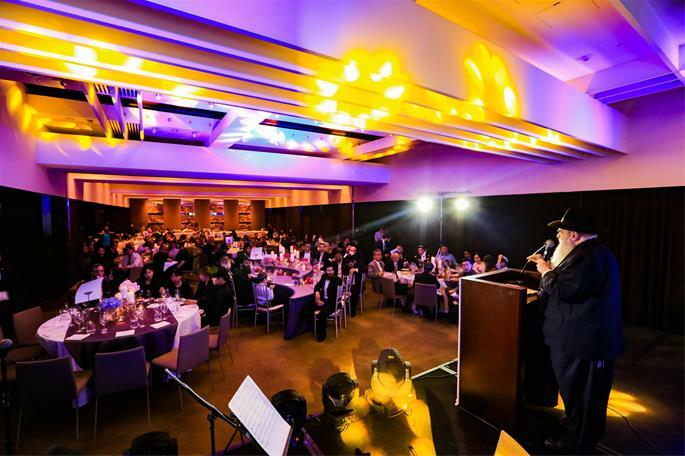 Rabbi Moshe Kotlarsky addressed the audience at the gala dinner.